One of the best times to be with family is Christmas. The air is full of holiday cheer, your house looks bright with all the lights, and everybody’s happy with their gifts. But what happens when the parties end and the festive celebration winds down? There’s a lot that you can do to fill that space. And one of them is watching a fantasy or sci-fi movie that happens during Christmas. It doesn’t matter if you have a young family, an extended one, or one full of adults. What’s important is the time that you spend together. Here are some Christmas-themed fantasy and sci-fi movies for the whole family. Any movie adaptation of “A Christmas Carol” from our list. There are a lot of movie adaptations of Charles’ Dickens’ fantasy novel “A Christmas Carol”. To make things easier for you, we picked a few for you to choose from. The one you choose depends on the kind of family that you have. If you have young kids, then we recommend you watch “Mickey Mouse Christmas Carol” or “The Muppet Christmas Carol”. Older children would appreciate Robert Zemeckis’ more serious and accurate adaptation starring Jim Carrey. If all your kids are adults but have no children of their own yet, you’ll enjoy “Scrooged” starring Bill Murray. That’s the lesson that Dr. Seuss teaches us in this timeless animated classic. The Grinch heads to Whoville from Mount Crumpit to ruin the season. He discovers through his mischief that no one, not him, can steal the holiday spirit. It’s a heartwarming tale that all families – young or old should gather round to watch. Tim Burton’s animated classic follows the adventures of Pumpkin King Jack Skellington in his quest for a holiday that’s different from the darkness and dreariness of Halloween. He stumbles upon Christmas and brings the Yuletide cheer to Halloween Town. This one of the most delightful family comedies to come out of Great Britain! 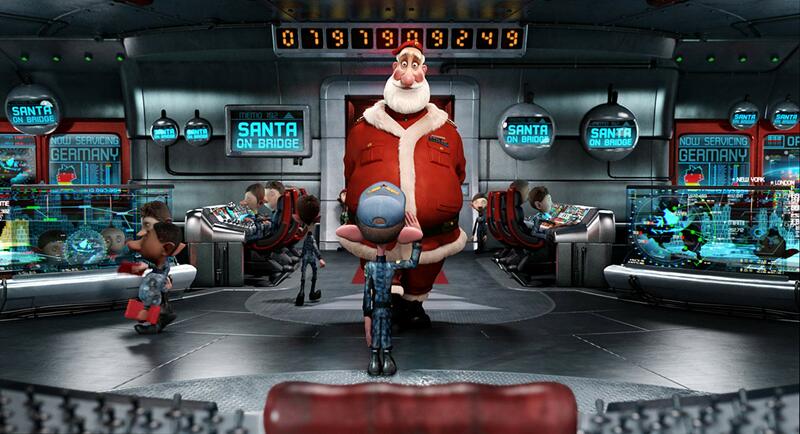 The movie starts by showing Santa’s gift delivery operations, which have been modernized by his eldest son, Steve. However, a minor accident occurs, forcing his other son Arthur, and his father, GrandSanta, to deliver packages the traditional way. It’s a romp that you and your family will truly enjoy. This horror-comedy follows the tale of a gift gone bad! This Steven Spielberg classic follows a young American man who receives a cute yet peculiar creature called Mogwai. Chaos ensues after he breaks the rules by feeding him after midnight and getting him wet! Perfect for families with a more wicked sense of humor.